My Internet has been out at work since Wednesday last. Tomorrow being Wednesday next, that's an unacceptably long time, particularly in this day and age, to be unconnected. How can I send or receive emails from clients? How can I do online research? Where will I see videos of water-skiing squirrels? Well, I suppose I really shouldn't be searching for water-skiing squirrels during business hours. How dependent we've become on the Internet! I had a project to work on Thursday, Friday and yesterday, so I really could stay home. (I went in yesterday just long enough to be certain that I'm still unplugged. And to call someone who might do something about it. But who hasn't so far.) Today I had to go to court, so I had to go in -- but I've snuck home since. I'm waiting for a phone call now on one of my nightmare cases. This will make a fine 'war story' some day -- if I don't get killed in the meantime. Anyway, regular programming here is only one of the things disrupted by this unsettled shuttle between home and office. Meanwhile, I keep looking at my phone, willing it to ring. I need to resolve this nightmare case soon (mainly because the court in question has put me on an extremely short leash in this regard) -- but it won't happen; it can't happen without the phone ringing. With Youngest Son off at South Janesville College and Younger Daughter packing up the van yesterday to move into her dorm, you might think that Long Suffering Spouse and I were joining the ranks of empty nesters. I found out yesterday that Younger Daughter's room this year is only on the second floor of her dorm -- only one flight of stairs, a departure from our children's usual practice of lighting on the highest available perch -- but about a mile and a half from the one stairway which we were allowed to use. At least that's what it felt like. Younger Daughter's plan for yesterday was to pack, then visit with her Abuela (grandmother) for a little while, then load the van and then take the van to school, unpack, and be at her job by 4:00pm when (she thought) she was supposed to start her shift. Imagine, if you can, the precision timing that would have been involved in this enterprise. Younger Daughter was counting on her mother's assistance in unpacking the van at school; Long Suffering Spouse was to bring the van home. But Long Suffering Spouse can not leave her post before 3:15pm. It takes a half hour in optimal traffic conditions to reach Younger Daughter's nearby school. At best, then, Younger Daughter built in all of 15 minutes to unload, deposit her stuff in her room, and get to her job -- at a satellite campus of the college, a mile or so away. Surprisingly, things did not work out according to this plan. The first problem arose when the school changed Younger Daughter's work hours -- moving up her start time to noon. Younger Daughter swears no one told her about this. She only found out when she decided that 15 minutes might not be enough time to accomplish all that needed to be accomplished and that she might be a minute or two late by the time she got to work. She called in -- and got called out. And Younger Daughter's visit with Abuela took longer than planned. Not a single sock had been loaded in the van when Younger Daughter finally returned home, about 2:00pm. I was home, working (no Internet at the Undisclosed Location, remember?) and so I volunteered to use the other car to pick up Long Suffering Spouse at school. That gave Younger Daughter at least 10 more minutes to pack. Long Suffering Spouse was ready to go at 3:15 -- and she was not entirely surprised to find that Younger Daughter was not. But we were on the road shortly after 3:30. So, too, however, was an enormous freight train, coming from points unknown in the west, heading directly across our intended path at a rate of speed that was more than glacial, but less than a snail's. Oh, yes, I was on this expedition. I had no intention of going. I was actually productive yesterday, working on a big project, and anticipating at least an hour or two of additional productivity while Long Suffering Spouse and Younger Daughter enjoyed their special bonding time. They figured things differently, however. The good news is that, huffing and puffing, we emptied the van and filled Younger Daughter's tiny dorm room from floor to ceiling. I don't know where she'll fit in there, but that's not my problem. We dropped off Younger Daughter at work and by 5:15 or so and at that moment, technically, we might have been considered empty nesters. We arrived at the newly emptied nest about 5:45. Abuela called by 6:00. It must be very lonely, Abuela said to her daughter, with only you and your husband at home. We haven't had much chance to notice, said Long Suffering Spouse in reply. And Younger Daughter will be home tomorrow. She has a dentist's appointment -- and she plans to pack and somehow squeeze still more stuff into her dorm room. Somehow. A frequent visitor to this blog, Dave, an Atlanta lawyer, calls his blog "Rather Than Working." The title suggests that, when the spirit moves him, he'd rather blog than work. Based on matters in the last couple of weeks, I could retitle my blog, "Other Than Working." This title would suggest that, whatever my preferences, I'm not actually working. I haven't gotten a darn thing done, business-wise, in a couple of weeks. I've addressed some of the distractions with you in prior posts: My wife's house painting efforts (lots of links within links there) and taking Youngest Son to college, for example. I didn't mention the latest crash of my home computer, a week ago Wednesday. I've written about computer problems too many times. Suffice it to say, I talked to India and the Philippines for hours on end and got the thing running again. I haven't talked much about my work concerns, although two cases in particular are driving me to distraction -- and my relationship with my best client may be in jeopardy because, well, I keep losing things, like motions and appeals. You can't win 'em all -- sophisticated corporate clients understand this -- but they can't help but get a little touchy when it seems like you've lost the ability to win any. If I'm out of the office attending to family matters, I'm not making money. If I'm repairing the computer, I'm not making money. If I'm in the office fretting about non-billable, file-related crises of one sort or another, I'm not making money. If I'm trying to figure out how to pay at least the minimums on all bills due when I have no money, I'm not making money. At the moment... I'm not making money. And things really started to get interesting last week. Our phones went out last week. I don't mean "our" as in the royal "we," I mean everyone in my whole darned building. I think construction work a block or two away may have resulted in a cable being cut -- but I'll never know for sure. All I know is, last Thursday, having returned to work, freed from my painting obligations, the phones died. I was making office calls on Wells Street because I couldn't get a signal in my Undisclosed Location when a guy tapped me on the shoulder. "Do you work in this building?" he asked. I nodded. "And your phones are out?" I nodded again. "Well, whaddaya know? Mine too." My suite-mate reported my main number and my fax number to the Almighty Telephone Company on his cell phone -- and, within a day, these were restored. But my main number has a rollover number, in case two clients should call at once. That line, not having been specifically reported, was not restored until Friday, hours after I discovered this and called it in. Then, Tuesday, around noon, I was working in my office -- and the lights went out. My computer went out. Everything went out. The whole building lost power. We thought initially that it was related to a fire in a ComEd vault between City Hall and the Daley Center, but later reports said it was not. At least three Loop buildings lost all power in the event, however, and the ones identified were at seemingly random locations. Of course this knocked out my phones again -- and my cell phone was not fully charged. I was able to ascertain however that the trains were still running (although the vault fire would interrupt service later that afternoon) and I went home. The building manager called me at home Tuesday evening after dinner to advise that power was restored (though I found out it went out again later). The building manager cautioned, however, that elevator service had not yet been restored. I had to go in yesterday, even if that meant climbing all the stairs. (That could well have been my doom: I tend to the three flights and you're out school of stair climbing.) But the elevators were working. On the other hand, my Internet was out. I spent the morning trying all the tricks I knew to get it back. These all failed. Our tenant found out that we weren't the only ones who were having Internet troubles -- but our tenant was not among these. Believe it our not, she has her Internet through the Almighty Telephone Company and it was working. Can you imagine how bad a service must be if it is bested by the Almighty Telephone Company's alternative? We think -- working hypothesis this -- that only those who subscribed to the service provided by the building were knocked out. But I'm not going downtown today to test this theory. I'll work from home today and brave the Undisclosed Location again tomorrow. And maybe I'll even be able to work there, too. The American Bar Association is soliciting nominations for its annual list of the 100 best legal blogs (a/k/a "blawgs" -- as in law + blogs, get it? ), said list to be published in an upcoming issue of the ABA Journal. Blawggers who nominate their own blawgs or blawgs to which they have previously contributed posts. Wives and husbands who nominate their spouses’ blawgs. Employees of law firms who nominate blawgs with their own firm’s branding. Public relations professionals in the employ of lawyers or law firms who nominate their clients’ blawgs. Pairs of blawggers who have clearly entered into a gentlemen’s agreement to nominate each other. The Amici form asks for comments about the nominated blogs. There is a 500-character limit -- and this may pose the ultimate challenge for actual practicing lawyers. How can we hope to say much of anything in only 500 characters? We’re only interested in blawgs in which the author is recognizable as a lawyer or law student in the vast majority of his or her posts. The blawg should be written with an audience of lawyers or law students—rather than potential clients or potential law students—in mind. The majority of the blawg’s content should be unique to the blawg and not cross-posted or cut and pasted from other publications. We are not interested in blawgs that more or less exist to promote the author’s products and services. While Second Effort boasts a lot of original content, I don't know that I am "recognizable" as a lawyer in the majority of my posts. This blog aims for a general readership, rather than being 'pitched' specifically to lawyers or law students. But some of these have happened by anyway, from time to time. So I pass the information along. Blawg nominations are due by September 9. We took Youngest Son up to school yesterday at a place I'll call South Janesville College in North Rockton, Wisconsin. Don't bother looking either up in Wikipedia. Plausible deniability is one of the great traditions of serious anonymous blogging. South Janesville College is situated near the Rock River in southern Wisconsin, convenient to the Interstate, which is certainly a tribute to the foresight of the college's founders. In the 1840's most folks did not make plans with the Interstate in mind. The college is old and enrollment is small, particularly when compared to the powerhouse educational conglomerates of the Big 10 (which now has 12 schools -- and they wonder why Americans are failing at math!). Still, the school has a large campus, and it dominates the small town around it. At a place like SJC, the liberal arts still flourish. Quincy Adams Wagstaff might not look too out of place striding across the campus -- except for the cigar, of course. The serious scholars of SJC would no doubt be horrified at the death penalty, but they might be willing to overcome their horror were someone to light up a stogie in their midst. This is 2011, after all. We did not take the boy back in time. I'm predisposed to like the place. In four years I hope I can say I that I did like the place. But Youngest Son, I fear, is off to a rocky start. From the time he sent in an acceptance (and after I sent in $500 as a pledge of good faith), Youngest Son was deluged with mail from South Janesville College -- big envelopes, small envelopes, chatty postcards. He'd get phone calls and emails, too. Some of the SJC correspondence was addressed to Long Suffering Spouse and myself, but these were all solicitations to buy something or other and these were all promptly tossed. We relied on Youngest Son to tell us what we needed to know to get him properly prepared for the semester. Now, as a rule, 18-year old males don't talk much to their parents, and our Youngest Son has proved no exception. He'd occasionally share bits of information from his college mailings -- bits as in bits and bytes, the teeny-tiny units of data that are regularly used by computer geeks. We knew that the phone calls were from his baseball coach, for example. But we did not know whether his dorm room would have a dresser or a closet or a desk or shelves or some combination of these dorm-room basics. Would the room be air conditioned? (We assumed not, given the age of most of the buildings on campus.) He did let us know when roommates were assigned, and he informed us that he'd opened channels of communication with said roommates -- both of whom, apparently, were (1) planning to play baseball also and (2) equally ignorant on the likely contents of their dorm room. Recently, Long Suffering Spouse tried to wheedle information out of the boy concerning the academic calendar. We knew he moved in on August 22. The first day of class is next Monday; registration and orientation fills out this week. But was there a Fall Break? How many days did he have for Thanksgiving? When would he have to leave campus after first semester finals? My wife likes to know these things. She has, I think, good reasons for asking. Does she have to plan another day off? (She missed the first day of school yesterday.) She keeps the family calendar. She'd like to know what's ahead. Long Suffering Spouse, in fact, had a host of questions for Youngest Son, and he was equally uncommunicative with regard to all of them. Nevertheless, somehow, Youngest Son packed, making piles of stuff in the living room. He even made it to Indianapolis, finally, to pick up the refrigerator that his sister was keeping for him. Though the wallet crisis was successfully resolved, Long Suffering Spouse had to practically lead the boy out of the house, if only to stop his seemingly aimless wandering from room to room. The four of us (yours truly, Long Suffering Spouse, Youngest Son, and Younger Daughter -- she wanted to see what SJC looked like) made it to North Rockton without incident and, after some confusion, found a legal place to park within arguable walking distance of Youngest Son's dorm. Youngest Son's two roommates and their respective families also arrived at the same time. We got everything from the car into the dorm -- why are my kids always on the top floor? -- also without serious incident. But conflict was predictable as all of these strangers converged on the dorm room and, in this case, the conflict involved a pair of shorts. A pair of short, form-fitting shorts worn by the mother of one of Youngest Son's new roommates. America is an increasingly casual country, and it shows in what some people will wear in public. Our politicians are no longer obliged to wear ties, especially on the stump. (As recent events have shown, we still expect our politicians to wear shirts. And pants.) Even fancy restaurants will seat patrons without ties -- or even jackets. Americans have Casual Fridays all year round and Summer Casual all summer long. Even lawyers will come to work in 'business casual' on days when they will not appear in court. And stop at any grocery or Wal-Mart and you're likely to see people, usually women, parading about unselfconsciously in stretchy materials that leave little to the imagination. When a female parades about in a form-fitting costume, all males are obliged to look. This is not because we are all dirty old men, or dirty old men in training, and certainly not because we are seeking to commit infidelity at the slightest opportunity. Rather, this is an illustration of evolution in action; it is an undeniable instinct that harkens to the earliest origins of the human race. If this were a PG-13 blog I might make some sort of snickering reference to how it's no accident that homo erectus was a direct ancestor of homo sapiens -- but I'll leave that sort of humor to prime-time television. The usual male response to seeing a female in stretchy garb is shock, horror, and revulsion -- not because we are such prudes, you understand, but because, all too often, the person wearing the garment really shouldn't. It's like looking a train wreck: You know you should turn away, but you can't. The sight of rippling folds of flesh, held in place beneath the stretchy stuff like waves on a lake that froze on a windy day, burns the retinas of your eyes, and still you stare, unblinking, wondering what was she thinking going out like that? On the other hand, the woman in the crowded dorm room at SJC actually could wear short tight shorts. Whether or not the occasion was appropriate for such a costume, her derriere was. She was tall, thin, tanned and had long legs that nicely complimented the aforementioned shorts. With a son starting college, she must have been in the neighborhood of 40 -- but it was obvious she lived in the good part of that neighborhood. Her hair was of that blond, brown, and every-shade-in-between variety that Younger Daughter could explain very easily -- there's a name for that -- but I don't know it. What I did know was that Long Suffering Spouse took an instant dislike to this woman. I thought that was what made the room seem chilly, but it turned out that it was actually air conditioned. The room also turned out to have beds and dressers and bookshelves and desks and closets for each of the boys. But the beds seemed to be blocking all the available electrical outlets. Major furniture moving was in order and I was all for letting the boys work this out themselves -- but if that woman was staying, Long Suffering Spouse was not budging. Since that woman stayed, Long Suffering Spouse did, too. Believe it or not, I removed myself to the lounge just down the hall from the boys' room and checked my messages at the office. Later, Long Suffering Spouse would have conversation with Younger Daughter about that woman. At one point I overheard her harrumphing about how she did not see that woman's husband; she would bet that that woman was divorced. "Does she think she's going to find a new husband here?" Long Suffering Spouse asked. Younger Daughter must have interjected something at this point because Long Suffering Spouse responded, "I don't care how pretty she is." Younger Daughter must have said something else. "Creepy. Yes," said Long Suffering Spouse, "that's exactly the right word for it." I managed to avoid becoming embroiled in that conversation. But I'm not certain that I would have agreed that that woman was being creepy. And if she was trying to be provocative, it was probably in vain. Although there have been any number of recent references in popular culture to "cougars" and so forth, I suspect that, for most 18-year olds, anyone north of 35 would be unimaginably ancient. I concede that I enjoyed the view... but I was merely looking, not looking for trouble. My best guess is that that woman only dressed that way because it was warm out. Eventually, though, enough furniture was moved that the ladies felt it possible to leave the kids to set up their room, and their schedules, on their own. Long Suffering Spouse, Younger Daughter and I made it home -- and it was when we were cleaning out the van from the trip that the discovery was made. It was a small book, maybe 4" x 6" -- and no more than 30 pages long. It was entitled Everything You Need to Know Before Arriving at South Janesville College. Long Suffering Spouse remembered seeing that book before; she'd actually seen Youngest Son consult it before, on one of their few shopping expeditions. She knew, therefore, that it contained some useful information. She took it inside. After dinner, Long Suffering Spouse began reading the book -- and I could see her becoming increasingly agitated with each turn of the page. Every question she'd asked the boy in the last month was answered in this book. I know this because she read it aloud to me off and on all night long. She'd remember some other question she'd asked Youngest Son, then she'd remind me of her prior query, and then she'd read me the answer the boy could have given her -- had he looked at the book -- but did not. I think I was quite patient until she read me the part that says that Visa cards could not be used for tuition payments. I'm still mad about that. And even the magic answer book didn't explain why Visa would not be accepted. Or why college students don't read. Who knew that simplifying your life could be so complicated? I've not mentioned my wife's house painting project for a while (prior mentions here, here, and here, if you're interested). Long Suffering Spouse finished painting the house last Tuesday. And just in time, too: She's had school meetings this week; classes start Monday. But what's the use of painting the house if you put the same dust-gathering piles of stuff right back where they were? We tend to accumulate stuff. I'm certainly the worst offender. I had cancelled checks going back to 1980. The oldest were in a desk drawer. There was also a bag full of bank statements and cancelled checks that my wife had assembled when she couldn't stand looking at them stuffed into a bookshelf in the den. These probably went up to 2007 or 2008. The only reason we didn't have a pile of more recent cancelled checks was that, at some point, the bank stopped sending them. I had books everywhere and magazines, too. I seldom threw out magazines. 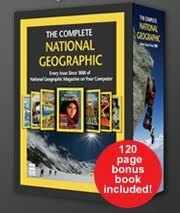 I mean, who ever threw out the National Geographic, right? And when I'd work up the intestinal fortitude to discard some other magazine, Long Suffering Spouse would say, "Wait! I want to see if there are pictures in there that I can use for class." Of course, that shouldn't have stopped me from throwing out the decades of back issues of the Wilson Quarterly -- not a lot of pictures that she'd want in there -- but the magazine is so good, I just couldn't bring myself to do it. So the shelves in the basement groaned under the weight of magazines and books and we also had bags and boxes of books and magazines piled up here, there and everywhere. I had every t-shirt I'd gotten in college stuffed in a dresser drawer. I couldn't possibly wear them now, not even at home. I do not mean to imply that I am grossly obese, but I was a pretty skinny little runt 35 years ago and I have since thickened as males do when they leave behind their callow youth and embrace the full flower of maturity. But, darn it, I designed some of those shirts. On the other hand, the pants I wear every day that I can avoid wearing a suit were stacked up on a chair because there was no other place to put them. All the shoes I actually wear were in the middle of my bedroom floor because I couldn't bring myself to throw out the old shoes in the closet. I had papers everywhere. Stuff I'd done. Stuff I was going to do. Manuals for appliances long since replaced. There were piles of CD's everywhere, too -- old computer programs -- CD's or DVD's on which the kids might have recorded music or TV shows, or tried to. None of these CD's or DVD's were labeled; no one admitted to knowing what they were. I didn't want to do it, but there was no choice: We had to simplify -- or we'd wind up like one of those hoarder families on a horrifying-reality TV show. I inhaled deeply and threw out the shoes and the t-shirts. And still the world kept spinning. All those old checks got shredded. Out went the unknown discs. Out went the old computer programs. Out went boxes of 3.5 inch floppy discs -- and more than a few 5.25 inch floppies, too. I asked Oldest Son whether there might be a market for some of the educational games he and his siblings played as kids. He's got connections to eBay power-sellers; he would know. No, he told us, there's no market for Windows95 programs on 3.5 inch floppies that can't be loaded on any current computer -- so Reader Rabbit, Math Rabbit, and Treasure Mountain all went into the trash. "Kids," I said at one point, "you don't know what a favor I'm doing for you. I'm saving you the cost of at least one dumpster after I'm dead." The school's recycling bins were happy. I was sad. Sunday, I went through 10 years of homeowner and auto insurance policies and kept only the forms and endorsements actually in force -- a foot of paper reduced to a half-inch. But there are still piles of stuff that must be reviewed. I'm not looking forward to going through the mound of cords trying to figure out whether some, or any, of these actually are needed by any appliance we currently have. Eventually, I'll rearrange those bookshelves. Next year -- maybe -- we'll rebuild them so they don't sag so. I can't help it; this struck me as extremely funny. From the webcomic Saturday Morning Breakfast Cereal. It is a measure of how far I've fallen in the world that I have begun to pay careful attention to the interest rates on credit cards. Very careful attention. The problem is this: While I've made reasonably good money most years (there have been some exceptions) I never make enough money to pay the mortgage, utilities, groceries and all my tuition obligations. I went through my savings, and my parents' inheritance. I borrowed to the max against my life insurance policies. A surprise bequest bailed me out last year. Anyway, knowing I was going to have to start charging tuition again this Fall I started sifting through my cards seeing which one had the lowest rate. One had 29%, another 25%, another 21%. Still another had 12% -- but the winner, by far, was a Visa card with a 4% rate. I'd been using this card in the business and it has a balance. But I figured I could clear that soon enough and have it ready to switch back to personal use by Fall. Even with the year I'm having, I still might be able to do this. As those of you with kids in college know, the bills are coming due about... now. Youngest Son's was due yesterday. Younger Daughter's is coming up fast. But Younger Daughter's school had a payment plan -- I'd used this before, but mostly to pay from my checking account -- it was just like having two mortgage payments every... single... month -- and I saw that Youngest Son's school had a relationship with the same company that financed my payment of his high school tuition. I had my 4% Visa card at the ready. I logged onto the site. I made all the pertinent disclosures. I agreed to all the terms of service. I then tried to charge the enrollment fee and the first tuition installment. The screen said something about payment being limited to fees only. From this I thought that I must pay my enrollment fee first -- then pay the first installment. Sure enough, the enrollment fee went through. But the first installment stalled. I tried again. And again. I pushed the button right-handed. I pushed it left-handed. I tried it with one eye closed. But it would not work. Well, I thought, reaching out for some desperate strand of hope, maybe it's because the bill is due today and the computer won't take it on the actual due date. Maybe you have to call the payment in -- I've seen that before. So I called the 800 number. I went through the phone menu with extraordinary patience, pushing 1 or 2 or 3 whenever prompted. Then it asked for my account number. And I had my brand new account number, right in front of me, on the receipt that I'd just printed out when the computer accepted my enrollment fee. I entered it -- and the phone menu said it did not recognize the number. I tried again. The phone menu did not recognize the number. I tried and tried and tried until the phone menu offered me the rare gift of speaking with a human. I greedily accepted. There were clicks and buzzes and then the sound of a line ringing and a woman with a decidedly southern accent answered, "Customer Service. Christie Lee speaking. How may I help you?" I began to tell my sad tale. But I was barely begun when the young lady on the other end of the line said, "Customer Service. Christie Lee speaking. How may I help you?" "Can you hear me now?" I shouted into the phone. (I still can't believe that Verizon was able to turn that frustrating question into a sales pitch.) "Can you hear me?" "Customer Service. Christie Lee speaking. How may I help you?" "Please," I said, at the top of my lungs, "I'm screaming now into the phone. Can't you hear me?" "There being no response, I am releasing the call," said Christie Lee. And she did. My reservoir of patience, never much deeper than Carlos Zambrano's, was now drier than an unwatered lawn in Dallas. I stabbed out the 800 number. As soon as the phone menu began, I began punching zero, zero, zero, zero. The phone menu was more stubborn that most; it came back many times. But I was equally persistent: Zero! Zero! Zero! Finally, a line began ringing. Another woman answered. I had reached the corporate office. She got me back to a customer service representative. But this was one of those special two-way lines where I could hear the customer service representative and she could hear me. I told her my story. It may have come out in something of a manic rush. "What school did you say your son will be attending?" she asked when she could get a word in. I told her. "That school charges a convenience fee of 2.99%," she said. "Yes," I acknowledged. I'd seen that on the bill. It's all part of the high cost of being poor in this country: You can get discounts for cash, but if you can't afford something you'll pay interest and a little extra juice besides, that being whatever fee the provider of the good or service you hope to acquire finds it convenient to take from you. "Well, Visa has chosen not to participate in that convenience fee," she said, "so we can't accept Visa." I would have thought that the "convenience" fee was what Visa took off the top and the school was just passing the cost through. But this was not the time or place to debate the issue. I put the first installment on a MasterCard -- which has an interest rate of over 20%. But my options were limited at this point. I have a lot of Visa cards. Thoroughly shaken now, I went to log into my daughter's school site so I could pay her first installment. The convenience fee there was 6%. Surely, if the problem was that Visa wasn't getting enough, there'd be enough juice in that for even a greedy credit card company. Younger Daughter's school always sends the bill directly (and electronically) to Younger Daughter -- as if she were going to pay it. But I've gotten over this. I just log in as my daughter. This satisfies the school's concerns about privacy. Funny thing is, logged in as my daughter, the site has no trouble taking my bank account information or my credit card information. Obviously, privacy stops where the wallet starts. Anyway, I re-enrolled in the payment plan (the school gets a little something extra each semester this way) and reached for my magic 4% Visa card. And then I looked at the list of acceptable credit cards. I looked again. MasterCard. Discover. American Express. Dogpatch Stormdoor and Banking Enterprises. But no Visa. Sometimes I think the world is out to get me. Othertimes I just know. I have some cousins who are seriously into step-dancing and they may dispute this. On the other hand, they have large families and come from large families... so maybe they won't. Youngest Son will move into his college dorm a week from Monday. It won't be a minute too soon. He's basically a good kid -- but he's getting on my nerves big time these days. He's been "grounded" since an incident a couple of weeks ago wherein we thought he'd taken the family van to a graduation party in a nearby suburb but -- it turned out -- he'd actually taken the van to a neighboring state. Complications ensued. (I wrote about it here.) We've begun letting him out of the house again -- and he's coming home earlier, at our insistence, and with less complaint -- but he's not driving. He's forfeited that privilege. The strange thing is that Youngest Son is, believe it or not, an athlete. He voluntarily suspends his television viewing nearly every afternoon to run a few miles or lift weights or long toss. At this point, he's strong as an ox, only less cooperative. I was discoursing along these lines to Long Suffering Spouse this morning -- not to so great an extent of course; my wife knows all these things that I've just told you. Besides, she cut me off quickly. "You act like this is the first time this has happened," she scolded. "Oh, come off it. Every one of the kids has done this before going off to college. Not the same way, of course, but they've all been perfect beasts just before they leave for school." "Um," I said, now feeling chastened. Long Suffering Spouse put on a falsetto voice: "I need to be with my friends. We'll never be all together again!" Yes, I admitted, every one of them has had a phase like this. "But they're more connected now than ever," I protested. When I went to college we could only write letters to our high school friends. (I have a bundle of papyrus scrolls up in the attic somewhere.) And when Older Daughter went off to school (nine years ago!) a lot of kids had actual limits on their cell phone minutes (we got Older Daughter an unlimited plan -- which she exceeded in the first month). There was no texting. No Facebook. They could chat on AIM, but they had to be logged onto their computer. "They're really not going to be apart at all," I concluded. Long Suffering Spouse began tapping her foot at me. She tolerates a lot of my foolishness, but I could see I was approaching her limit. "That's not the way they feel," she said slowly and evenly, the way one instructs a slightly dense child. They won't be able to hang out at together at someone's house every night, I silently conceded. "Well, there's one good thing that comes of this behavior," I said, reversing course quickly. "You were worried that you'd be a little sentimental as the little guy" -- he's 6'3" -- "heads out of the house. Now, you'll just be relieved. Maybe this is just nature's way of making it easier to let the fledglings leave the nest." Long Suffering Spouse stopped tapping her foot. "You might be on to something," she said. Regular readers will recall that I'm a church-going Catholic. That doesn't make me a good Catholic, much less a good person, but it does make me different from many who are out here in the Internet, standing on our digital soapboxes, shouting at passersby. Regular readers will also recall that I am a big fan of the comics. I read a lot of the comics that appear (or used to appear) in the Chicago newspapers on line (they're often rendered in color, even on weekdays, and bigger than they are in print) and a lot of webcomics besides. A lot of times the webcomics are crude, vulgar, tasteless and offensive, but I enjoy some, like Saturday Morning Breakfast Cereal, xkcd, Tree Lobsters!, or Scenes from a Multiverse (to name just a handful), often enough to keep me coming back. No one hits a home run every time. Good grief, Charlie Brown never hit one in 60 years. Fair warning: Each of these above-listed comics can be just as crude and tasteless as webcomics generally. Don't blame me if you follow a link and are offended. But my point today is that, a lot of times, these comics can also be downright anti-religious. These webcomics have a geek following (engineers, mathematicians, scientists). It is apparently the fashion among these folks in particular to be actually hostile to religion, organized or otherwise. Younger Daughter's boyfriend, Olaf, comes to mind in this regard. Olaf fits the demographic profile: He's a math major. And to hear Younger Daughter tell the story, his folks are hard-core Creationists. They reject evolution. Their universe was created in six days, just as Genesis says. Like a lot of kids, Olaf has reacted to his parents' views by forming equal and opposite views of his own. Olaf is cautious in expressing his views around Long Suffering Spouse and me, but he made a passing reference recently to the Flying Spaghetti Monster. He must have thought only Younger Daughter would catch his drift; he was surprised when I did. 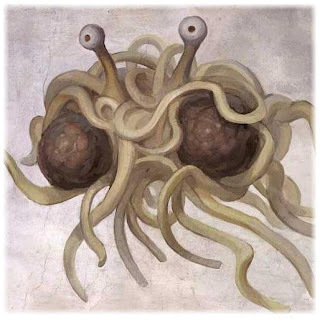 I'm not a Pastafarian, I assured him, but I try and pay attention. Last Sunday afternoon, Younger Daughter and Olaf were out shopping -- but none of us had yet been to Mass. She promised to be home in time for the 6:00pm 'last chance' Mass that our parish offers. But you know how these things go... time passed, they were having an enjoyable afternoon, and Younger Daughter called to ask if she could skip Mass just this once and go out to dinner with Olaf and his parents. Long Suffering Spouse was still painting Sunday. This project had been ongoing for a month already but the finish was in sight. I was assisting (for a change). So neither of us answered Younger Daughter when she called her mother's cell phone. Youngest Son did. And, in the time-honored tradition of little brothers everywhere, he translated my "ask your mother what she thinks" into "no way, you better meet us at Mass or else you're toast." After I actually did confer with Long Suffering Spouse, we agreed that Youngest Daughter could stay out -- but we instructed her brother to tell her. Who knows what he actually said? Thus it came to pass that Younger Daughter did show up at church. With Olaf. Youngest Son spotted them first. They were standing way in the back, although there were plenty of available pews. They stayed there, too. After Mass, Long Suffering Spouse was prepared to just wave in their general direction and walk past, but I said I must greet our guest. I heard later from Younger Daughter that Olaf was a little concerned about the big sappy grin on my face when I said hello. "I hope your father doesn't think that I'm converting," he told her. Actually, I didn't think that. I was happy, though, that Olaf was willing to accommodate his girlfriend -- and us -- in something that we think important. And there is something else I wish I could explain to him, and to all the anti-religious webcomic artists, too: Religion and science are not mortal enemies; rather, they should compliment each other. Both are concerned with searching for the truth. Science is concerned with what can be known; religion is concerned with what is not known (what can't be known). As time goes on, the domain of science increases as we know more and more of the universe around us -- and yet the domain of religion remains infinite. 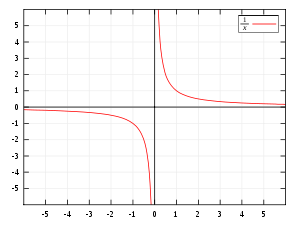 Remember back in high school math, when you had to plot an asymptotic curve? The line of the curve comes ever closer to, but never intersects, the axis of the graph. Science is like this: It pushes religion ever closer to the border of irrelevance, but it will, presumably, never quite push religion over the edge. There will always be Questions that science can not answer satisfactorily. Why are we here? What is our purpose? Does our consciousness expire with our bodies, or does it go on? Where? How? The answers to these questions are not likely to be found in a lab. And it is just as willfully ignorant for devotees of science to assert that these Questions are unimportant because they can not be answered as it is for Creationists to deny the evidence of the fossil record because it is incomplete. The basic principle is this: All truth comes from God. God is One. And, therefore, there can't be a contradiction, finally, between the truth discoverable through Reason and the truth discoverable through Faith, properly articulated. And so the unity of God -- the unity of Creation -- gives rise to this ultimate compatibility between Faith and Science. The trick is not to get too dogmatic about either religion... or science. Worth your weight in gold? Have you ever said that someone was worth their weight in gold? Per this linked article on the Chicago Tribune website, gold closed today on the Chicago Mercantile Exchange at $1,788 -- down slightly from an intra-day high of $1801 an ounce. Anyway, this experience has been on my mind lately when I hear the breathless updates on surging gold prices. I seem to recall the jewelers being upset -- back in 1973-74 -- that the price of gold had soared to $75 an ounce. This set me to ciphering. An ounce of gold today is worth nearly 24 times what it was worth 38 years ago. (1800 divided by 75 = 24.) The only thing that has gone up as much as the price of gold is college tuition. Once I got to ciphering, I couldn't stop. There are 16 ounces in a pound. I found this USA Today story from March, describing how the federal government is thinking about rewriting bus capacity rules because Americans are getting heavier than ever. According to Larry Copeland's USA Today article, the Centers for Disease Control and Prevention says that, today, "the average weight is 194.7 pounds for men 20 and older and 164.7 pounds for women that age range." Finally, I'm above average at something. Anyway, back to my ciphering: If a man is "worth his weight in gold" (and assuming that he is of average weight), he is currently worth $5,607,360 ($1,800 per ounce * 16 ounces per pound * 194.7 pounds). I only wish I was. For most of us, to be called 'worth our weight in gold' would be a good thing. But I suppose this could be a cutting insult to Warren Buffet of Bill Gates. For want of a nail the shoe was lost. For want of a shoe the horse was lost. For want of a horse the rider was lost. For want of a rider the battle was lost. For want of a battle the kingdom was lost. And all for the want of a horseshoe nail. This morning the United States finds itself with its credit downgraded by Standard & Poors and the stock market is reacting just like startled sheep: running blindly in almost any direction. The markets are hemorrhaging. My Facebook news feed is lighting up with persons lamenting the loss of their retirement savings -- again. Now, if you're inclined to maintain some perspective, you might realize that Standard & Poors is only one of three major credit ratings services. The other two, Moody's and Fitch, have maintained the United States' top rating, Moody's reporting today (per this Bloomberg News report) that, because of the American dollar's unique as a reserve currency, "the U.S. government can support higher debt levels than other governments.... Over time, the dollar’s role may be eroded, but we see no immediate threat." Still, this is not a time for us to rest on our oars. Standard & Poors has fired a warning shot over the nation's bow: We'd better get our financial house in order. In yesterday's Chicago Tribune, columnist Steve Chapman wrote that the recent FAA shutdown was caused by the Senate's unwillingness to go along with cutting a part of the Essential Air Service initiative, a federal subsidy for commercial air service between smaller cities, that was enacted in 1978 and was only supposed to last 10 years while the airline industry adapted to deregulation. This is a fine fix we've got ourselves into as a nation. But the kingdom is not yet lost. The rider may even still be on the horse. The question is this: Can we figure out what nail was omitted from the shoe? What chain of events has led us to this stalemate? All of American history is yours to mine as you create your theory. If your explanation gets too long, make it a post on your own blog and leave a link in the comments. Let's start a discussion here, people. And, in the spirit of getting the ball rolling, here is my hypothesis. Naturally, there's a Chicago angle. In the aftermath of the unhappy 1968 Democratic National Convention in Chicago and Hubert Humphrey's subsequent loss to Richard Nixon, the Democratic Party set up the McGovern-Fraser Commission to reform delegate selection processes. One memorable consequence of this commission was that the elected Illinois delegation controlled by Chicago Mayor Richard J. Daley's was challenged at the 1972 Miami Beach Convention by an unelected bunch led by maverick Ald. William Singer and the Rev. Jesse Jackson. The stated reason for knocking out the duly elected delegates was that the Illinois delegation did not include an adequate proportion of women and minorities. 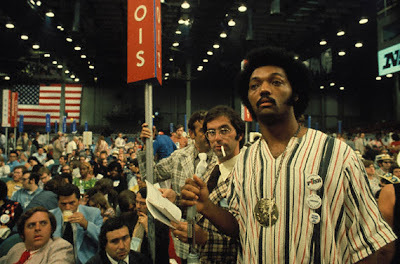 The credentials committee agreed and the uncommitted, but duly-elected, Illinois group was thrown out in its entirety (including the duly-elected women and minority delegates) and the Singer-Jackson group (which was pledged to Senator George McGovern) was seated in its stead. It made for great television; I remember staying up until 4:00am to watch. But the 1972 Convention debacle was just the beginning of the mischief caused by the McGovern-Fraser Commission reforms. That Commission, I think, was the nail. Even the linked Wikipedia article acknowledges, "One of the unintended consequences of McGovern-Fraser reforms was an enormous surge in the number of state party presidential primaries." Primaries are huge business in the United States these days -- and extremists control the primary process in both major parties. The extremists are not just nominating presidents, they are nominating candidates all the way down the ballot. The state legislators who draw the new legislative maps are survivors of this process. And maps have been redrawn now three times since (and a fourth is upon us). The insidious practice of gerrymandering was named for Elbridge Gerry, a New England Patriot who served as James Madison's Vice President. So the drawing of partisan maps is nothing new. But the map drawers are. And so are the computers that aid them in their polarizing task. Of course, we can't put the nail back in the shoe the way it was originally -- and we shouldn't want to: Women and minorities participate in both parties now and that's a good thing. Besides, the health nuts would go crazy at the thought of any return to smoke-filled rooms. So my solution is open primaries. I want people to vote for the Democratic and Republican nominees in all races. I think this would have a generally moderating effect on the political climate -- and the persons emerging from such a process might be able to make the decisions necessary to provide the real reforms our beloved country so desperately needs. That's my suggestion. What's yours? But the bill also includes language that gives Transportation Secretary Ray LaHood the authority to continue subsidized service to the 13 communities if he thinks that it is necessary. Lowy reports that the Democrats expect that Secretary LaHood (a former Republican Congressman from downstate Peoria, Illinois) will dutifully find that all of these subsidies are necessary after all. You could call it "being grounded." We do. But the psychologists among you might misunderstand and think that "being grounded" is a good thing. Youngest Son will start college in a couple of weeks. He started pushing the envelope of parental tolerance some time ago, really ratcheting things up as his senior year of high school drew to a close. As the youngest of five, Youngest Son has had the opportunity to learn from, and emulate, his older siblings. And what kid is satisfied to merely tread in his brothers' and sisters' footsteps? Curfews have also been extended with each passing sibling. I'm pretty sure we used to get the kids back by 10:00 or 10:30 on weekdays. Youngest Son has pushed this back to 11:30. Look, I understand that teenagers and 20-something college students are incapable of sleep before the wee small hours. (I even invented a descriptive name for kids at this stage; I call them nocturnals.) This isn't about them getting sleep. It's about me getting sleep. They may not have to get up in the morning -- summer jobs for teenagers were the canaries in the coal mine for this never-ending recession -- but I do. I sleep better knowing that they're home safe, under my roof, even if they're watching South Park DVD's in the den or playing Madden in the basement. Those of you without kids at this phase may say, hey, aren't the kids out later than that every night when they are away at college? You would be right, of course, but this is not a matter of logic. When kids are at home, they are their parents' responsibility. We know (or should know) whether they're home or not. When they're away at college, we don't have to know. Anyway, in recent weeks, as he and his friends prepare to go their separate ways, Youngest Son has been in regular danger of violating even his liberalized weeknight curfew. All the kids knew that they had a good chance of getting by me, if they were late, just by not waking me up as they snuck into the house. I'd fall asleep in the recliner... waiting... and be completely unable to prove whether the kid in question had or had not made it whom on time. Falling asleep in front of the TV during or just after the news is a cherished American tradition, isn't it? Well, the other night, for whatever reason, I was not asleep. Maybe I was having trouble finding something besides "Ancient Aliens" or "Pawn Stars" on the History-Military Channel-Discover-NatGeo-Science channel checkoff I perform every night. Long Suffering Spouse wakes up and objects when I put some show on black holes or mysteries of the outer planets. "You're just putting this on to fall asleep," she'd tell me. You're only waking up to tell me this, I'd say to myself -- and only to myself -- and go back to "River Monsters." Anyway, it was nearly midnight and Youngest Son was not yet at home. "Where are you?" I texted him. When Youngest Son finally wandered in, I had no choice but to assert parental authority. He was grounded. The next morning -- or, actually, the next afternoon since the kid never gets up until after noon -- Youngest Son began badgering his mother. "How long am I in for?" he'd ask. When I came home, he began asking me the same question. "I don't know," I told him. "The parole board has not yet met." The secret to a happy marriage: Make no unilateral decisions, particularly involving the disciplining of children. I always consult with my wife and we always agree with whatever she says. Then we inform the prisoner at the bar. The upshot of our discussion on this occasion was that Youngest Son would again be permitted to see the outside world on the weekend. Though his Legion baseball season has ended, there was some discussion that he might be pressed into service pitching for a friend's travel club over the weekend. We let him go out Friday, but we enjoined him strictly to let us know if he was going to have to pitch Saturday. He'd have to come home early if he was; otherwise, we said, we'd let him out until 12:30. That is his usual weekend curfew. He texted me before 10:00 that he'd not be pitching. I reminded him then that he had to be home by 12:30 -- not driving someone home and therefore, technically, on his way, but actually home inside the house. I told him to simply consider this a friendly reminder from his probation officer. He made it home by 12:30am. He woke up Saturday around 12:30pm -- and in a panic. Anyway, this was a non-custodial parent of the girlfriend of Youngest Son's friend and Youngest Son's friend had specially pleaded with Youngest Son to put in an appearance. Now I know when Youngest Son woke up Saturday because I'd been sent to rouse him specially. It seems that Middle Son had finally heard back from Older Daughter about the boys coming to visit her in Indianapolis this weekend. Middle Son had said that this was the only weekend he could go, what with weddings and the CPA exam and other obligations, but Older Daughter had put him off until the last moment because she wasn't sure until then that she and her husband would be free. Now they were -- and Middle Son was willing to bring Youngest Son along because their sister has a small refrigerator that Youngest Son can use in his dorm. This is what I told the boy when I woke him. "I want to go to Indianapolis," said Youngest Son, "but I have to go to this graduation party." "When does it start?" I asked. "Two hours ago," said Youngest Son. "No problem, then," I said. "Your brother has to help someone move this afternoon. He said he can be here by 5:00. You can go and be back. How's that?" And so it was agreed. I had some books to return to the library and I changed out of my painting clothes for that purpose -- only to have Youngest Son blow a gasket. "I have to go now," he said. "No. Wait. I'll take them. Then I'll just keep going." Long Suffering Spouse overheard this colloquy and her antenna went up. "Where is this party?" she asked. Youngest Son named a nearby suburb. "Your brother will be here at 5:00," she warned. "I'll be ready," he said, dashing out the door. I'd gone back to helping Long Suffering Spouse and we were making fine progress when Younger Daughter returned from work. (She's managed to keep her campus job during the summer. It's not a lot of hours. But it's something.) "You let Youngest Son go to Wisconsin?" she asked. "Wisconsin? No, he's at a graduation party in Niles," I said. "Oh," she said. Long Suffering Spouse and I kept working. Middle Son turned up at 5:00pm as advertised. It was then that we realized that Youngest Son was nowhere in evidence. I texted him. He called back immediately. You have to understand that the young people do not actually use their phones as phones without a compelling reason. Youngest Son said his friend, Brennan, had flipped out at the party. He's had troubles at home, we knew, but the picture Youngest Son presented suggested that things were more serious than we knew. He couldn't yet leave. Youngest Son and another friend wanted to wait until Brennan's mother arrived to take charge. "But your brother is already here," I told him. "I understand your concern, but you have a preexisting obligation. Wrap things up there and get back here pronto." He assured me he would. I had a chance, then, to visit with Middle Son -- but he was not his usual jovial self. In fact, he seemed rather cranked out of shape. "We won't get there until 10:00," he grumbled, which I thought an exaggeration, even with the time change. "He's close by," I assured Middle Son. "It sounds like a serious situation, but I'm sure he'll come right home as soon as he gets the kid taken care of." I texted the boy again. "Leaving in 20," he wrote. I thought this was rather rude, given his other commitments, but I was distracted by, and becoming increasingly concerned with trying to jolly up, an obviously surly Middle Son. He presently excused himself to take a phone call. And then another. "What is going on here?" Long Suffering Spouse asked me -- but I had no ready explanation. Middle Son was so angry he wouldn't eat. Now Long Suffering Spouse was really worried. Eventually -- and I mean eventually -- Youngest Son showed up. It became evident that Middle Son was trying to find someone else to take to Indianapolis, which struck me as odd since his brother had finally showed up. I'd told Middle Son just to leave without his brother several times, but he wouldn't go -- and now he wouldn't take the kid. It wasn't long thereafter that Youngest Son fessed up. He hadn't been in a nearby suburb after all. The party was in Wisconsin -- well over an hour away. His friend did have a problem and his mother did have to be summoned, but she was in Wisconsin at that family's summer home anyway. "This isn't over," I said. I did, however, leave the room. An equally-stunned Long Suffering Spouse and I went out to the front porch where Younger Daughter and Middle Son were conferring in between Middle Son's phone calls. "I know you've been waiting a long time," I began, "but you can take him now. He was in Wisconsin. He had no business being in Wisconsin. No permission. But we'll take care of that when you bring him back. You can take him if you want." The looks from Younger Daughter and Middle Son said it all. They knew where the boy had been. They'd known for some time. Everyone knew except Long Suffering Spouse and me. Middle Son did not want to be stuck with his brother under these circumstances, especially where (Long Suffering Spouse and I finally figured out) his continued presence at our house was only to prompt his brother to confess. The threat was implied, but it was real: Either you tell them yourself or I will. Actually, I have to give Middle Son high marks for how he handled that. And Youngest Son's contrition, when he did finally get past his anger at his siblings and at a capricious fate and realize it was all his own dumb fault (this took a day or two), seems pretty genuine. Younger Daughter is just happy that someone besides her is in trouble. And last night Youngest Son began asking, "So, how long am I in for?" He leaves for college on August 22. "Before Labor Day," I told him. "Before Columbus Day for sure." Middle Son lives in Wrigleyville these days; Sir Paul was just visiting, putting on a couple of concerts at Wrigley Field Sunday and again last night. 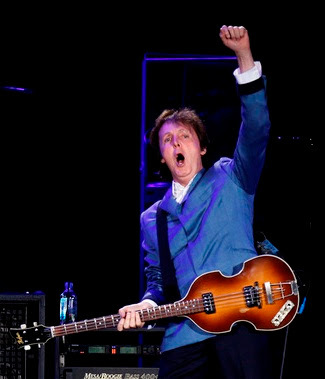 There has been no mention in the press as to whether Sir Paul saw any of the giant rats that Ozzie Guillen claims to have seen at that historic venue. It's not the first time Middle Son has seen Boomers trying to recapture their lost youth. In his college days he was obliged to work as an usher at a Rolling Stones concert at Soldier Field. He said he got a contact high from all the greybeards' doobies. He was both shocked and amused at the sight. 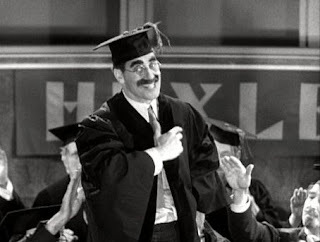 I couldn't help but hear my father's voice ("you kids think you invented everything -- Gene Krupa went to jail for smoking that stuff in 1943!"). I remember a time when kids not much older than me thought the Beatles were decidedly uncool. After all, their concert audiences seemed to consist mostly of screaming, swooning teenage girls... the type whose daughters screamed and swooned for the Back Street Boys... and whose granddaughters (yikes!) now scream and swoon for Justin Bieber. Well, their older sisters had screamed and swooned for Elvis... and their mothers had screamed and swooned for Frank Sinatra. How's that for a noisy course in American musical history? Trivia Answer: If you answered Richard Starkey, MBE, you probably bought your Bealtes lunchbox on eBay. Pete Best was on the drums in Hamburg; Ringo did not join the band until Mr. Best was dismissed. Not to decide is to decide: About this debt ceiling "deal"
My mother-in-law will breathe easier this morning, at least: Her Social Security payment will come this month as scheduled. "It will come regardless of what Congress does, or doesn't do this weekend," I tried to tell her Saturday, but she would not be consoled. That brief conversation really showed me just how accurate was this Jeff Danzinger cartoon. Long Suffering Spouse commented this morning that nothing in this deal seems to address the issue of jobs. But I rebuked her: Clearly Congress is very concerned about jobs. All 535 of theirs. The important thing is we now have a deal (pending some last-minute glitch, like the Tea Partiers and "Progressives" in the House joining forces to scuttle the whole thing). And the deal is this: The government can borrow some of the money Mr. Obama wants to borrow right away -- and we'll continue to disagree about how, when and whether to pay any of it back. The centerpiece of the "agreement" is that a 'super-committee' of Congresspeople will be formed, composed equally of Democrats and Republicans. They must report to the nation by late November, and Congress must act on their report by Christmas Eve in order to trigger the other incremental debt ceiling limits. Christmas Eve. How appropriate. Only people who believe that Santa really is a jolly fat man in a red suit, sipping Coca-Cola at the North Pole, will believe that a single report will ever be issued. The Democrats on the Committee will argue for tax increases ("revenue enhancements" and "closing loopholes") which the Republicans will absolutely refuse. Then the Republicans will propose cutting various social programs, which the Democrats will absolutely refuse ("you're trying to balance the budget on the backs of the poor!"). Then someone will say that we'll have to cut Social Security (which, finally, will unite the committee -- they will bravely oppose anything that might get seniors angry at them) or the military (an idea that might get some traction until the Republicans realize that defense contractors might be hurt and the Democrats realize that the Republicans are trying to hamper the President's conduct of foreign policy). No, I'm not optimistic. Every spending program, no matter how futile, has a constituency (even if it's only the bureaucrats who administer it) and a high-sounding purpose. Every special interest group now has several months to rally support for the survival of their pet programs. The only way out of this mess is for the President to use his "bully pulpit" to build public opinion in favor of the hard choices that must be made. He could start by dusting off the last special commission report. But Mr. Obama will not do this. Whatever his other virtues may be, Mr. Obama has shown himself to be the delegater-in-chief, trusting Congress to figure out how to lead us out of this mess. This is what he did with health care, too. He seems unable to grasp that Congress will only bravely lead down a road that has been fully paved with favorable public opinion. Or is that too harsh?